Planes sit near the runway at Brunswick Executive Airport on the former U.S. Navy base in this May 13, 2015, file photo. BRUNSWICK, Maine — A small airport near the Maine coast is getting more than $6 million in federal funding to make a battery of improvements. 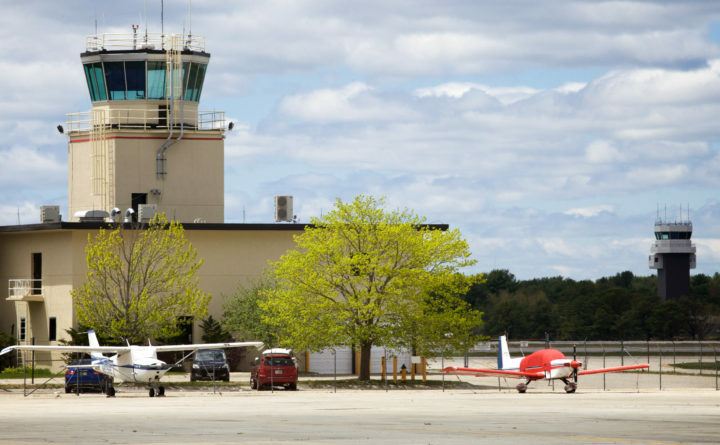 The Federal Aviation Administration is awarding the money to Brunswick Executive Airport, which is located on the site of what was once Naval Air Station Brunswick. It’s now home to aviation and aerospace businesses. Republican Sen. Susan Collins says the federal money will help the airport attract new businesses and jobs. The largest piece of the grant is a $3.6 million award to help pay for construction of a new hangar. The rest of the money will help with installing fencing, repairing utilities and improving drainage. The money is from the Military Airport Program, which helps with conversion of military airfields to civilian uses.